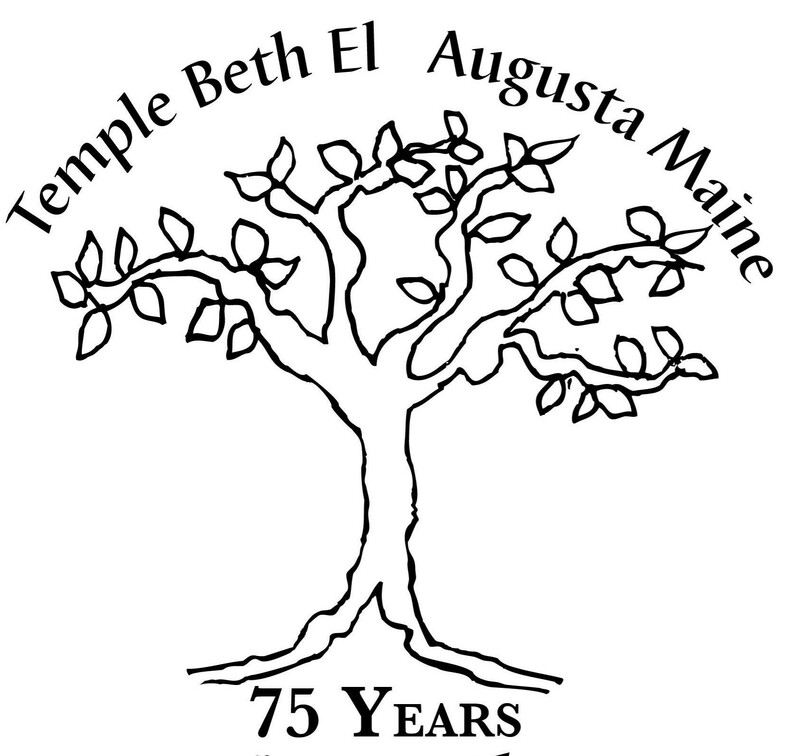 Temple Beth El (TBE) is a small, vibrant synagogue in Maine’s capital city, Augusta. 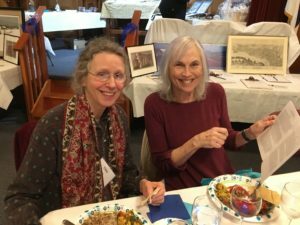 We are the only Reform Jewish congregation in Central Maine and serve as the center of Jewish activity for roughly 100 families living within a 50+ mile radius of Augusta. Our membership spans a wide variety of ages, professions and interests. Visitors are always welcome. If you are new to the area, here for the summer, or interested in learning more we hope you will come by. Check our calendar to see what is happening at Temple Beth El or call our office and make an appointment to visit. We hope to meet you soon! Temple Beth El began as the Augusta Hebrew Community in the 1940s and slowly outgrew the cramped, third-floor space it rented in downtown Augusta. When the Lipman brothers moved their chicken processing plant to Augusta in the 1950s, more Jewish families moved to the area and it became clear that the congregation needed its own dedicated space. The Lipmans spearheaded the building of our synagogue on Woodlawn Avenue, which was dedicated in March 1957. In 1973, the synagogue in Gardiner, Beth Israel, decided to merge with Temple Beth El and brought its members and its Torah scrolls to Augusta. The combined community joined the Reform movement in 1987, and we hired our first rabbi, Rabbi Susan Bulba Carvutto, ten years later. “Rabbi Susan,” as she liked to be called, shared her warmth and enthusiasm with us for sixteen years before retiring in 2013. Rabbi Erica Asch joined us as our second rabbi. We are proud to serve more than 100 families from all across Central Maine. For 57 years, all activities including religious school took place in the synagogue building. When the house immediately next door at 5 Woodlawn became available, the congregation was able to purchase and renovate it for much needed space. 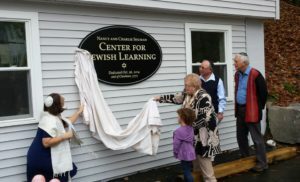 On October 26, 2014, we dedicated the Nancy and Charlie Shuman Center for Jewish Learning. The Center now houses the religious school and office space.